The Rotary Club of Andover thanks Robert Huntley Photography for donating the photography for Citizens Who Care and Education & Student of the Year. Thank you! 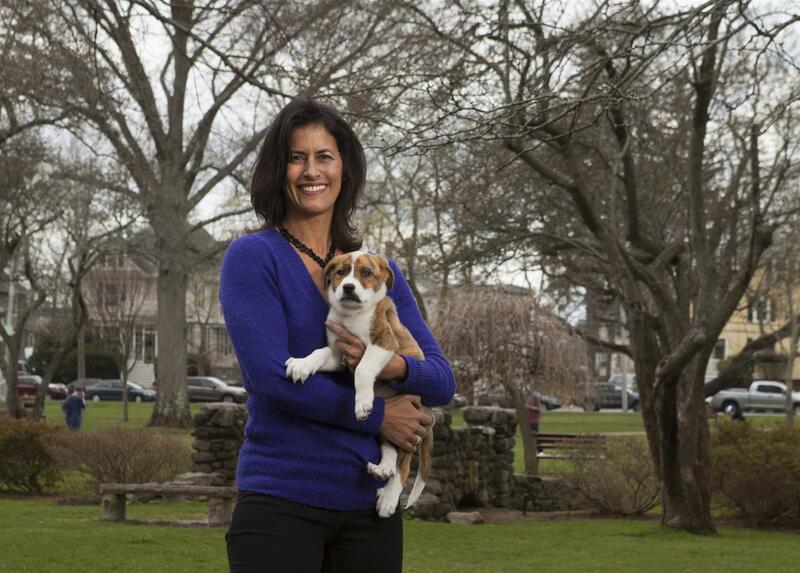 With a professional background in management, organizing volunteer activities was a natural next step for Tracy Callahan when she and her husband first moved to Andover in the 1980s. Her first volunteer activity in Andover was with The Mother Connection (TMC) where she edited the newsletter and organized an inter-generational sing-along with children and residents of Marland Place. From the beginning, volunteering was a way for Tracy to connect to the community, help people, and work with seniors. Tracy has served on Andover's Council on Aging and worked on a senior center task force. As her children started school, Tracy became team mother, room mother, and more. When her son started soccer, Tracy volunteered to coach. 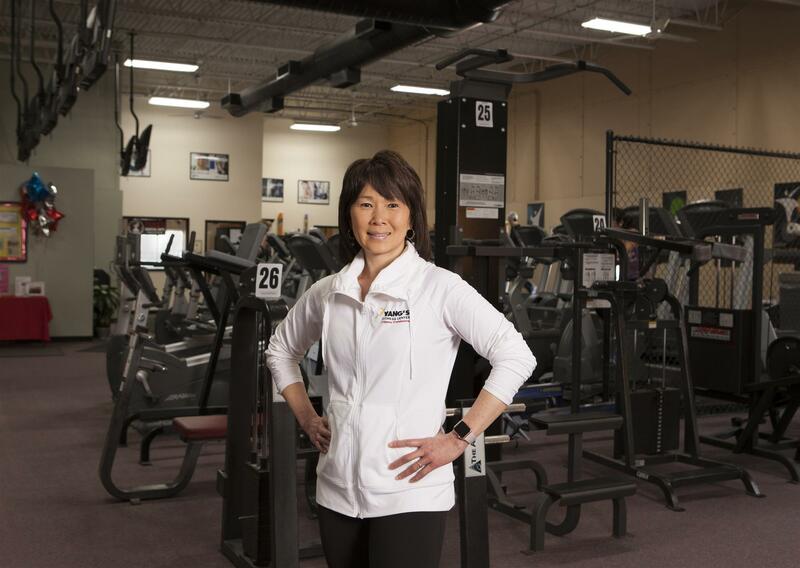 “I didn't know anything about soccer, but I knew about fitness and how to make things fun for kids.” When her daughter became interested in cheer leading, Tracy coached the Andover Junior Football League cheer leading team. 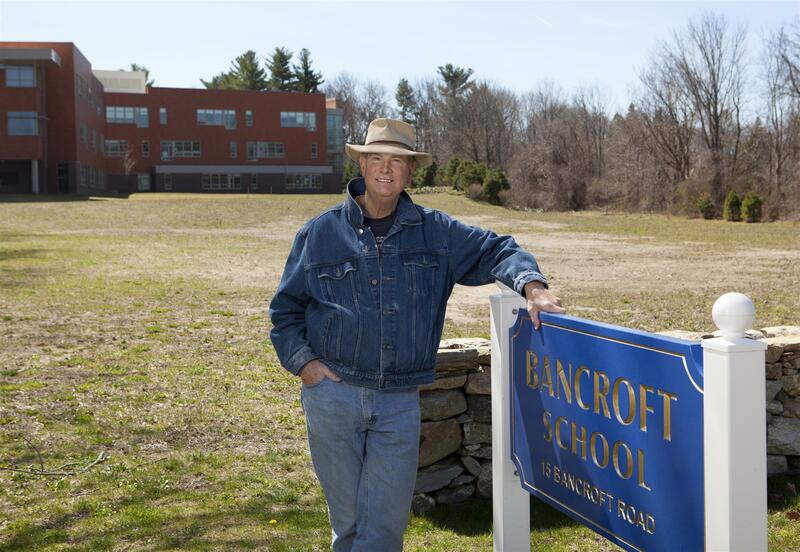 Tracy first met Bill Pennington when her children were attending Sanborn School. Bill was the president of the Parent Advisory Council and he recruited Tracy to become vice president, “If he knows you're good at something, Bill will pull you in.” Tracy's involvement with the school continued as her children moved through West Middle, Phillips Academy, and Lowell Catholic High School. It was through Bill Pennington that Tracy became involved with Run for the Troops. At first, she said, she wasn't passionate about veterans’ affairs. Then she talked with a veteran who told her his story about losses suffered during his service and the years of health issues, homelessness, and alcoholism that followed. Inspired by his story, Tracy works with fellow Citizens Who Care honoree Diana Keisel to organize the fund raising dinner that precedes the 5k Run for the Troops. 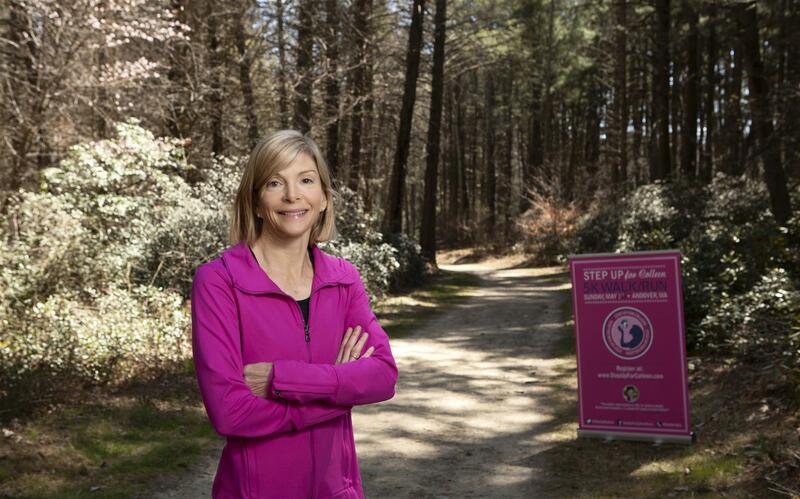 Through Run for the Troops, Tracy became involved with the Step Up for the Colleen Ritzer 5k run. Colleen attended Sanborn School in between Tracy's two children so her death in 2013 hit close to home. Tracy's Step Up for Colleen team is from the Sanborn School community. Tracy's voluntarism extends beyond Andover. In 2015 she ran the Boston Marathon to raise funds for the Last Call Foundation, which supports efforts to increase safety for firefighters. She organizes a team for the Avapalooza Spin-a-thon which raises funds to support research for a rare form of brain cancer, and she fosters rescue dogs for Great Dog Rescue New England..
Nina Caron is inspired to volunteer by one of her daughter's closest friends growing up--Colleen Ritzer. Growing up, Colleen could be found every day after school. She was a second big sister to the younger four children, and once joined Nina and her two daughters for a week's vacation in Florida. As a one-time Olympic contender in track and field, Nina's first thought turned to running. She reached out to Bill Pennington, leader of Run for the Troops, and asked for help. Bill responded immediately with a template for organizing a run. Step Up for Colleen was thus born out of tragedy. In 2016, 5,000 were expected for Step Up For Colleen on May 1. The race is U.S. Track & Field certified and raises scholarship funds for students pursuing a degree in education. Candidates are selected not only for their interest in education, but for deeper qualities as well. Selected candidates display the same qualities of love of family, community, and compassion that Colleen embodied. Organizing the Step Up for Colleen race comes naturally to Nina who is a runner, trainer, wellness instructor, and nutritionist. She is quick to acknowledge Colleen's family and all the people who work to make the event possible and keep Colleen's legacy alive. Bob Decelle is a relative newcomer to Andover. 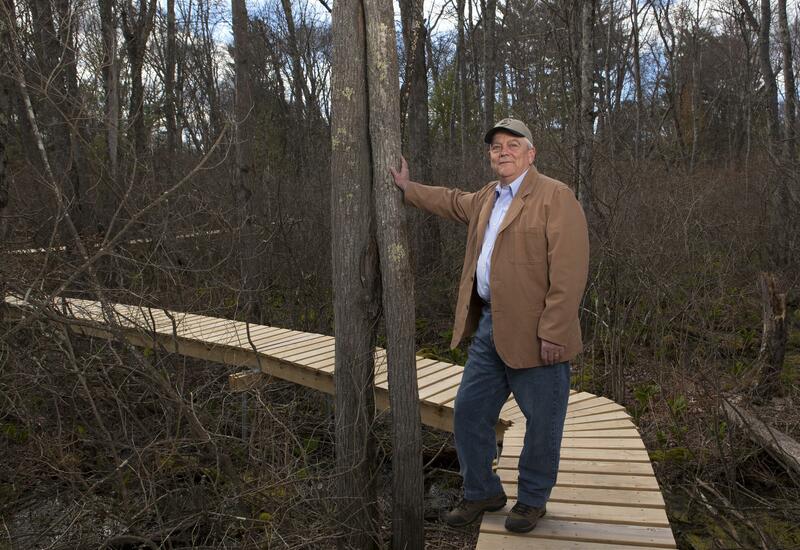 He moved here in 2006 but by 2007 he was deeply involved with Andover's Conservation Commission. As with all his volunteer endeavors, Bob attributes his involvement to his wife Gail Ralston. Gail suggested that he join her at a Conservation Commission meeting. Bob went to a few meetings and met Conservation director Bob Douglas. A project came up that no one else wanted to work on. And then came another project and another. After his first project helping an Eagle Scout build benches, Bob said smiling, “It went downhill from there.” Since 2007, Bob has assisted with 45 Eagle Scout projects. Andover has a particularly involved scouting community. Troop 79 has 140 Eagle Scouts in its history, and Troop 76 has well over 100. Bob speaks with a familiar respect about the number of people he has met who give so much: Al French, Al Brady, Bob Douglas, Don Cooper, the Conservation Commissioners. Although dedicated to conservation issues, Bob's volunteer work extends beyond that as well. Bob and Gail volunteered for the American Textile History Museum in Lowell, learning as much as they could about textile production. 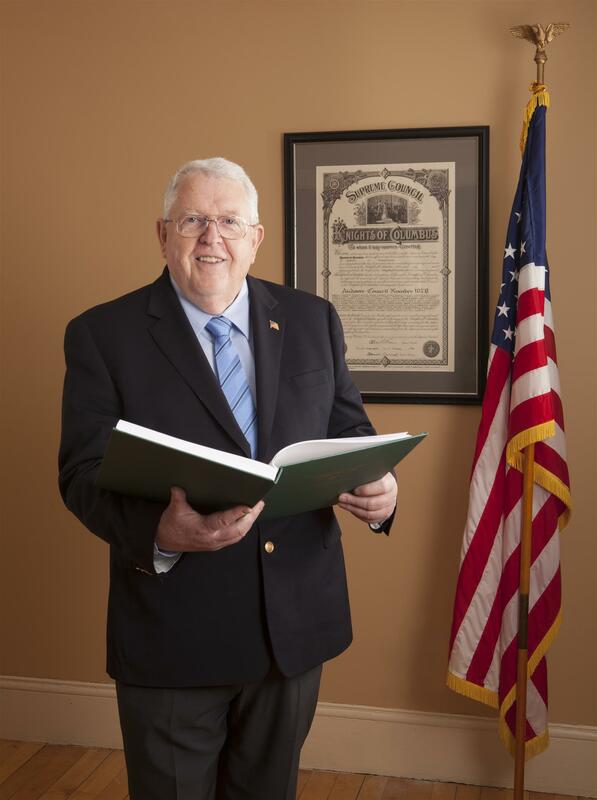 Following his retirement in 2002, Bob joined Andover's St. Matthew's Masonic Lodge where he served as Master in 2014. When asked what inspires his volunteer work, Bob looks back to the 1970s when he was living in Dracut. He said be became a firefighter by accident. He was working in the computer industry and believed it was his civic duty to be involved with the community. After learning about the opportunity through a friend, Bob joined the local fire department as a volunteer “call man.” Recalling the excitement of riding on the back of the firetruck at 1am, answering a call, Bob said he was hooked. He became a full-time career firefighter for 29 years, retiring in 2002 as the Fire Captain in Dracut. Jack DeCourcy was serving in the U.S. Air Force in West Germany when he visited East Berlin during the Cold War, years before the Berlin Wall came down. Jack was amazed by what he witnessed in East Berlin, and the significance of coming back to West Germany through Checkpoint Charlie made a deep impression. When Jack's time in the Air Force came to an end, he knew he wanted to join the FBI. Today Jack speaks with obvious pride about the work that is done by the Professional Center for Handicapped Children. Jack has served as volunteer, member of the Board of Directors, and treasurer for ten years. The school works with 1,600 children each year. Severely handicapped children go to school at the Center. For others, teams of visiting nurses go out into the community and schools to work with children. Jack's work with the Center dovetails with his volunteer work with the Knights of Columbus. The Knights raised funds to purchase a van that could help a woman with her severely handicapped adult child. The Knights of Columbus, along with the Andover Service Club, runs an annual field games event for people with mental and physical disabilities. The Knights also host an annual special prom. The girls get dressed for the prom and get their hair done. The boys get dressed up. The Knights of Columbus arranges the location, food, and DJ. Parents get to come, but they watch the fun from the balcony so the kids can enjoy their prom. Recently, Jack has started volunteering for Andover's Veterans Services Department interviewing veterans for their Heroes Amongst Us book series. This year, Jack will be interviewing Andover's Vietnam War veterans. Jack and his son, a Coast Guard veteran, attend the annual Veterans Luncheon together. 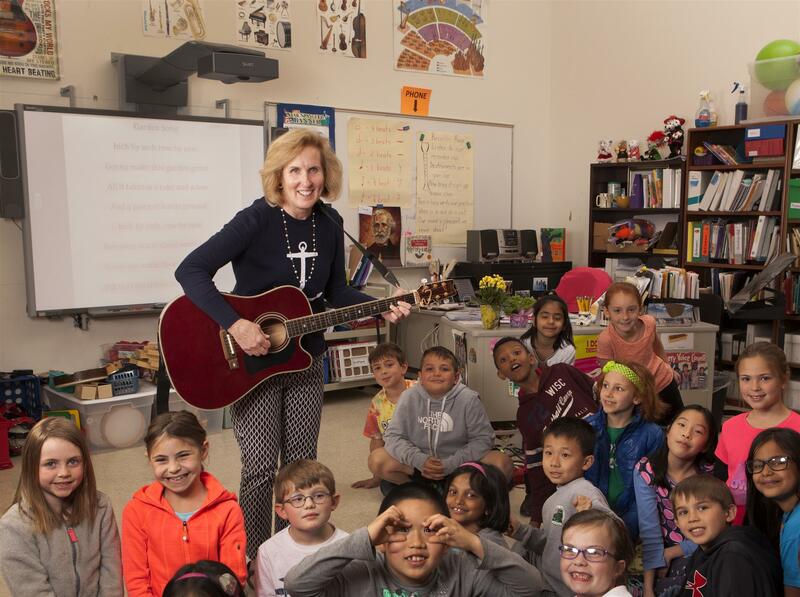 Martha Giguere grew up in Andover and returned 15 years ago to teach music at High Plain Elementary school. She was here during 2003, the difficult year when the instrumental and band part of the elementary music program was cut from the school budget. An innovative and inspired teacher, Martha turned to the philosophy and work of composer Carl Orff. Best known perhaps for his cantata Carmina Burana, Orff developed a system of music education for children, which encourages children to learn about music by experiencing it on all levels including speech, chanting, movement, drama, and percussion instruments. Wanting her students to have a band experience in elementary school, Martha created the High Plain Elementary Orff Ensemble, a small group of elementary students who use recorders and percussion instruments such as xylophones and marimbas in their music. Martha thought that the ensemble would fade away when the instrumental music program was restored but it continues to this day. Martha also leads a select choir called the Drifters. The Drifters meet before school and regularly perform in the community. The students performed at new Town Manager Andrew Flanagan's installation, and they are regulars at Marland Place, Wingate, and Ashland Farms. Martha wasn’t sure what to expect the first time the Drifters performed at Marland Place. She was amazed by how much the residents enjoyed the kids. But even more, she was surprised when the kids asked if they could stay after the performance to place games with the residents. Martha leads the school's Earth Watch club, designed to help the school become more conscious of environmental issues. In the Orff tradition of chanting, Earth Watch students perform daily chants about recycling and school beautification accompanied by musical instruments made out of recycled materials including yogurt containers and cans. This year, each fourth grade class wrote their own rap composition to perform and record in High Plain's in-house TV studio. Last year, Martha helped organize a Collins Center concert of all the elementary school select choruses. Over 300 students participated. The conductor of the Boston Children's Chorus came to work with each school chorus and with the group as a whole. According to Martha “the kids are an inspiration. 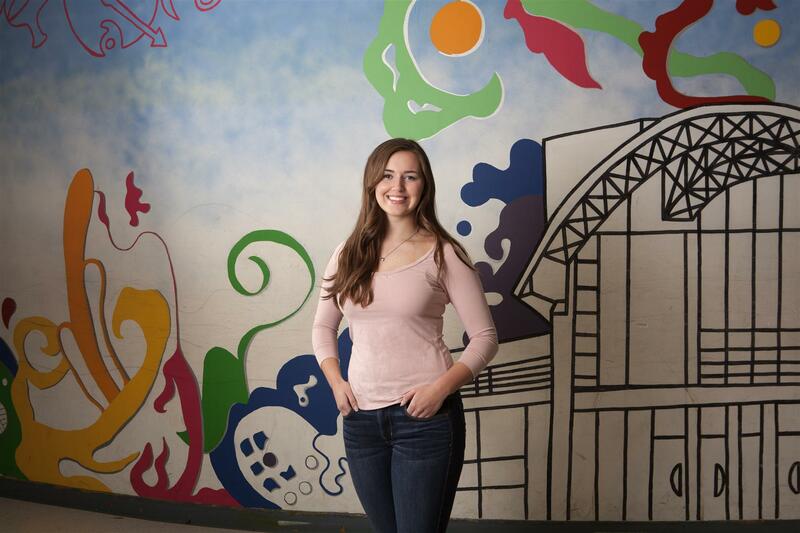 Some things seem mundane to us, like recycling chants or yogurt container bands, but kids always learn something new.” Above all, being a part of the community and using music to help people work together inspires her. 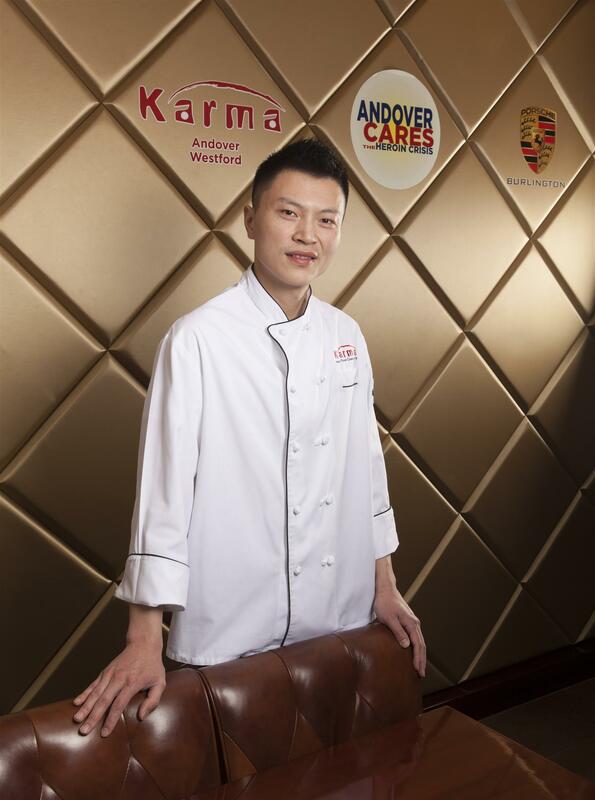 The name of his two restaurants, Karma, explains why Iverson Guo became involved with the Rotary Club's Andover Cares movement in 2015. The road to Andover and good karma started when Iverson moved to the United States at age 19. He came alone--no family or friends to rely upon--and settled in Manhattan. “I like the big city atmosphere,” Iverson said. Arriving in Manhattan, having never cooked before, Iverson started training with an excellent sushi chef. Attracted by the clean, rich, healthy protein of sushi, Iverson loved the artistry it involves. What starts out as simple fish and rice becomes something new and exciting—for example adding jalapeno or black truffle to traditional ingredients. Moving to Massachusetts, Iverson settled into a restaurant in Franklin, where he came to know some of the New England Patriots. He was offered a catering job at the home of Dan Koppen and, drawn by the excellence of his work, players came into the restaurant to enjoy his sushi creations. Andover Cares was the first major event for Iverson and Karma. "Helping solve the ongoing heroin crisis that is sweeping this community is extremely important," Inverson said in an interview with the Lawrence Eagle Tribune. "I am especially thankful to all of our town leaders for bringing Karma into this great Andover community and allowing us to give back to the community, which is something we hope to continue to do through events like this.” Rob Ninkovich, Nate Eber, Josh Miller, and Scott Chandler are just a few of the New England Patriots to be involved with Iverson and Karma, proving that, indeed, what goes around comes around. The Karma event raised over $9,000 to support Andover Cares. Every charity, every cause needs the people who work behind the scenes. Diana Keisel is one of those people. “My job is to ask,” she says. “I'm a recruiter. If people aren't asked, they won't volunteer.” Originally from Vicksburg, Mississippi, Diana and her husband Alex moved to Andover in the late 1980s. Diana was still working in Boston when she and Alex started the first Yang's Martial Arts on Riverena Road in Andover. When the Keisels moved the business to Dundee Park in 2005, Citizen Who Cares honoree Cindy Rayner encouraged Diana to get Yang's involved with the community. Having worked in accounting before opening Yang's, Diana is detail oriented and loves organizing activities and events. Through Diana, Yang's members support the American Heart Association, American Cancer Association, Lazarus House, Bread & Roses, and serve meals at Cor Unum in Lawrence once a month. Food collection boxes, sponsorships, and team fund raising efforts are an integral part of Yang's. Diana runs an annual Turkey Brigade at Yang's in which members sponsor and decorate a paper turkeys. Together Yang's Turkey Brigade and the Rotary Club of Andover purchase, assemble and deliver complete Thanksgiving dinner packages for residents of the Andover Housing Authority. Diana also organizes team fund raising work outs for Yang's members, developing themed work outs to give members the opportunity to contribute to a worthy cause while working out. To support the Last Call Foundation, a Boston-based organization whose mission is to support education and research to advance safety in the firefighting community, Diana developed a work-out based on the work firefighters do with their bodies and raised money to support the Foundation's work. With fellow Citizens Who Care honoree Tracy Callahan, Diana coordinates the fundraising dinner for Run for the Troops 5k. Run for the Troops raises funds to support Homes for our Troops and increases awareness about the needs of injured soldiers. Over 425 people attended the 2016 dinner at Andover Country Club. One hundred of them were veterans who were able to attend the dinner free of charge as a result of fundraising efforts. Diana is also the refreshment coordinator for the Step Up For Colleen Ritzer 5k run/walk, which raises scholarship funds for students preparing for a career in education. Emma wrote a Senior Exhibition Project proposal to research behavior analysis and overall development of individuals with intellectual disabilities. The ABA teacher she works with was so impressed that he forwarded her proposal to the New England Center for Children in Southborough, MA. Emma was then offered a summer internship where she helped collect data for researchers and attended the Doctorate Student Lab meetings discussing their behavioral analysis research projects. In his nomination form, Bob Domingue mentioned that Gail was once a Chicago debutante. That makes Gail blush. “Oh, the debutante thing,” she said. But once Gail starts talking, it turns out that the “debutante thing” was a significant influence on Gail's lifelong volunteer spirit. Girls were expected to dedicate a considerable amount of time volunteering, which Gail did first in pediatrics and later in the geriatric department of a local hospital. After her first child was born, Gail became a group leader in the Chicago LeLeche League because she could volunteer for the night shift when she was already up with her own infant. Calls would come in from around the country and as far away as the United Kingdom. Gail recalled taking a middle of the night call from a woman in Tennessee. They talked about Elvis until the baby had fallen asleep. As a Political Science major in college, Gail took to writing. She wrote for political campaigns and for newsletters for groups like the LaLeche League. Her first professional job after college was as a copy and feature writer for a biweekly newspaper. “No matter what was going on,” Gail said, “there was always time to write.” And she's still writing today. 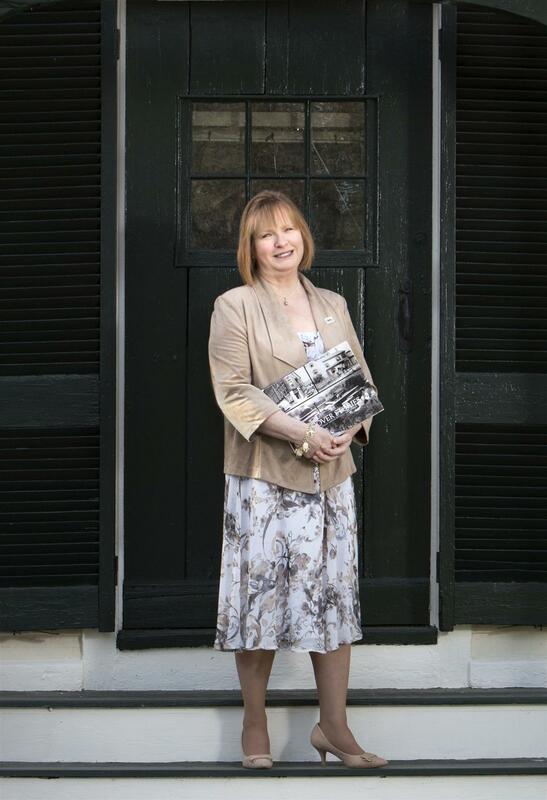 In 2010, Gail took the lead on a 100th anniversary project for the Andover Historical Society. Over the next two years, Gail oversaw the researching, writing, and publication of 104 Andover Stories for the Andover Townsman. The first 52 have been published in book form. But, just like writing, the research is never done, so Gail continues to coordinate, research, and write more than 20 Andover Stories each year. Gail moved to Andover in 1983 and in less than four years, she was serving as Selectman. It might have happened, Gail said, because she didn't know enough not to, but she served Andover as Selectman from 1987 to 1991. They were interesting years in Andover's history. Affordable housing, school issues, water treatment, the addition to Memorial Hall Library, and the renovation of the Town House were all issues Gail worked on as Selectman. At Boston State Teachers' College students start teaching as freshman and their time in the classroom grow each year. Jim said there was very little time for volunteering, but part of his teacher training was working at a housing project across the street from where he lived in Brighton. When Jim asked what the job entailed he was told, “You get your keys, you run a study hall, make sure they get their homework done, and, in the last half hour, they get social time.” Jim opened the activity room four nights a week for all the kids in the housing project. In 2007, Jim joined the board of the Andover Historical Society. “It came at a very good time,” he said, “I had finished my retirement reading and was thinking about what to do next.” Jim's what-to-do-next turned into chairing the Community Enrichment Team, taking a leadership role in the Society's third grade school program, exhibit installation, and Santa Claus. Jim was a Santa Claus fan from way back. He started playing Santa for West Elementary Christmas parties. A colleague asked if he would come to his house as Santa for his young daughter. After that visit, Santa played a surprise visit to the house next door where pandemonium broke out. Santa now visits with kids at Andover Historical Society throughout the month of December. Jim says his volunteering is entirely selfish. He likes to see kids' faces light up. Whether he is playing Santa or teaching kids at Andover Historical or out in the community, kids' faces light up whenever Jim is near. After 40 years in finance and the private sector, Tim Vaill took a step back. 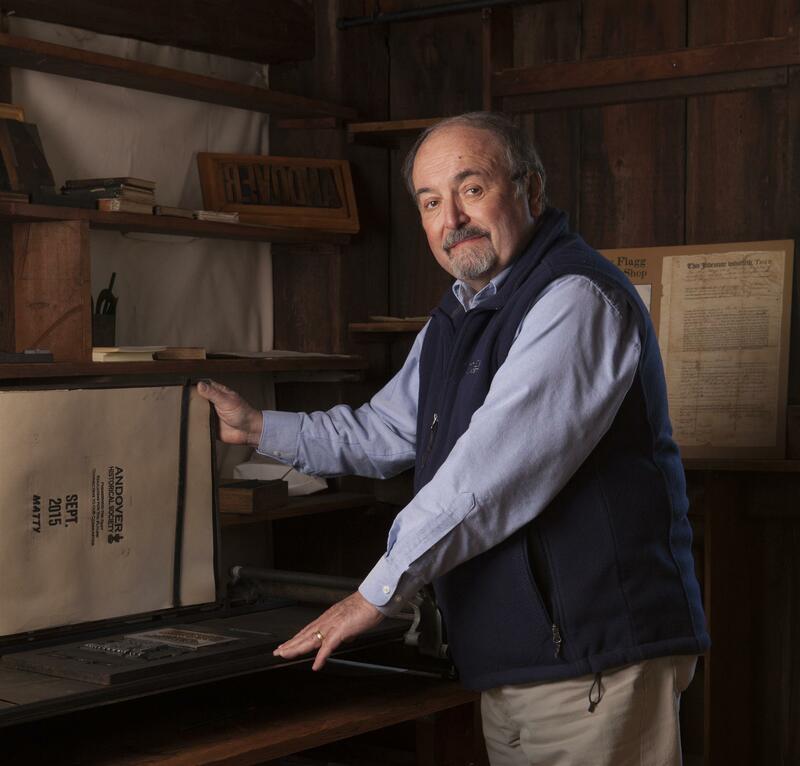 He had been working with Boston Private Bank for 15 years, and in 2008, decided it was time to move onto something new. Throughout his years in Boston, Tim served on the boards of organizations such as the New England Aquarium and the New England Conservatory of Music. For the next chapter in his life, Tim wanted to explore the public sector and decided to go to the John F. Kennedy School of Government at Harvard University. What struck Tim about the Kennedy School is how everyone, from faculty to students to administrative staff were serious and committed to making the world a better place. In 2011, Tim received his Masters in Public Administration. But what next? After years in business, Tim asked himself, “How can I make a difference now?” The question led him to then Governor Deval Patrick and Housing and Economic Development director Greg Bialecki. In an early meeting, Bialecki turned to Tim and said, “See that pile of paper over there? Those are the things I want to do, but can't get to. Pick one.” And so Tim wrote the state's economic development policy. It was a fortuitous first challenge, because it led a meeting with Town Manager Buzz Stapczynski to talk about Andover's economic development. In the fall of 2011, Tim wrote the mission statement for Andover's new Economic Development Council, “What would it take to make Andover the best place to live and work in America?” Out of that question came many ideas including Andover Tomorrow and the creation in 2015 of Andover's Historic Mill District. Tim coordinated a series of open meetings, including a game-changing presentation by Barry Bluestone on the future of Andover. The 2015 Town Meeting approval of the Historic Mill District overlay was a pivotal event in the economic development of downtown Andover. A native of Atlanta, Georgia, Rosalyn Kemper Wood came to Andover in 1972 with her husband, the Reverend Cornelius Ayer Wood, Jr. Cornelius Wood was the grandson of Ellen Ayer Wood and William Madison Wood, president of the American Woolen Company, at one time the largest woolen manufacturer in the world. At the height of its operation, the American Woolen Company owned 60 mills, including the largest mills in Lawrence. “Our resources,” Rosalyn said, “are a gift from God and it is our responsibility to use those resources wisely.” Esperanza is an inspiration and was for Rosalyn the perfect place to create a memorial to her husband, Connie. Rosalyn's initial $1.2 million pledge helped Esperanza open its doors, and in 2014 she established the school's endowment. Founded in 2006, 2016 marks the 10th anniversary of Esperanza. With a 100% graduation rate, the inaugural class of Esperanza students are now sophomores in college. Rosalyn supports Christ Church and the Andover Historical Society. In addition to her abiding interest in supporting the students of Esperanza, Rosalyn also has a deep interest in the needs of senior citizens. 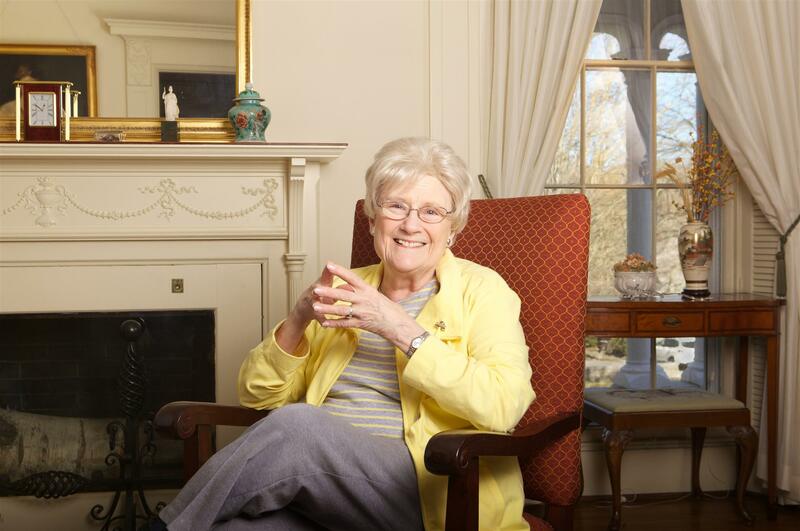 Her $1 million gift to the Andover/North Andover YMCA established an Active Living Center for Seniors, where special programs are run to help seniors keep fit and active. Rosalyn's gifts are given in the name of Wood family members. A contribution to the Merrimack Valley Hospice was given in memory of Ellen Ayer Wood and William Madison Wood. In Andover, Wood Memorial Park, part of the Andover Youth Center, and the new addition to the Andover/North Andover YMCA all bear the name of Wood family members. On any given Sunday, you can hear the results of Rosalyn's generosity when the organ is played at Christ Church in Andover. The 2,002 pipes of the C.B. Fisk organ were installed in 2011, the organ and the music are dedicated to the memory of Cornelius Ayer Wood.